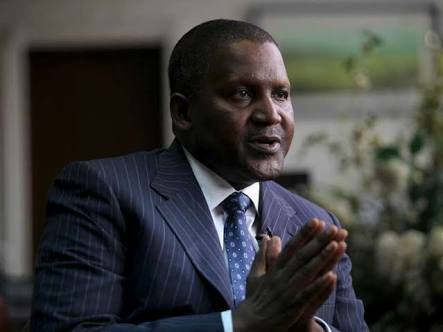 INDUSTRIALIST Aliko Dangote has been ranked among 75 most powerful persons on the planet. He is ahead of United States (U.S.) Vice President Mike Pence. Dangote produces 44 million metric tonness of cement annually across the African continent and still plans to expand and increase its output by 33 per cent by 2020. According to the Forbe’s rich list, Dangote as at March 2018 had an estimated net worth of $14.1 billion and ranked among the 100 richest in the world. He is the richest in Africa, a position he has held for almost a decade. He reached the peak in 2014, when he came 23rd richest in the world and in 2013 surpassed the Saudi-Ethiopian billionaire Mohammed Hussein Al Amoudi by over $2.6 billion to become the world richest person of African descent. The Dangote Group President has often made such lists due to his business concerns and humanitarian efforts in Nigeria and other parts of the world, especially his efforts through the Aliko Dangote Foundation to rid Nigeria and Africa of polio, malaria and mal-nutrition. His efforts in this regard was recognised by the United Nations, which appointed him, Malaria Ambassador. He also donated a N1.2 billion Business School complex to Bayero University in Kano and is presently constructing a similar one for the University of Ibadan Business School. Aliko Dangote was made the chairperson of the Presidential Committee on Flood Relief, which raised in excess of N11.35 billion. Dangote himself contributed N2.5 billion, an amount higher than the entire contribution from the 36 state governors..